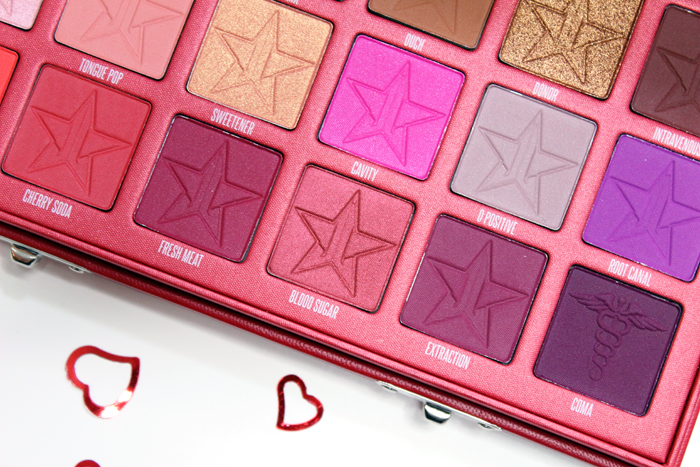 I’ve talked about Jeffree Star on my blog a few times. I mentioned how I’m a bit of a fan girl and I know that rubbed some the wrong way. I know he’s not everyone’s cup of tea and that’s ok. I’ve been following him since the MySpace days. That’s a long time! He’s easily my favorite YouTuber and he’s the only one my husband will watch with me. A few weeks back we sat and watched the Shane Dawson Jeffree Star Docu-Series while we ate pizza. Good times! I highly suggest checking out the Docu-Series. It’s funny and inspiring as heck. My husband was surprised to learn that I hadn’t reviewed any of his palettes yet. Truth is none of them really appealed to me. They’re very pretty. Especially the Thirsty Palette. But I just didn’t feel they were shades I needed in my life. 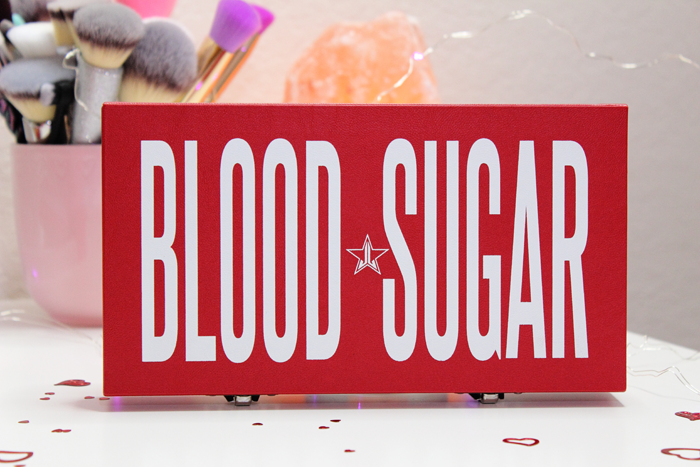 Then Blood Sugar was launched and I knew that was going to be my first Jeffree Star Cosmetics palette! Of course it took me a while to actually get my hands on it. When I finally decided to make it mine it had already sold out. So I waited. And waited. After another restock I was able to scoop it up. I’m so glad that I did! I love the cute red case that the palette is housed in. It’s a little bulky, but it’s sturdy and I feel like it really keeps my shadows safe. 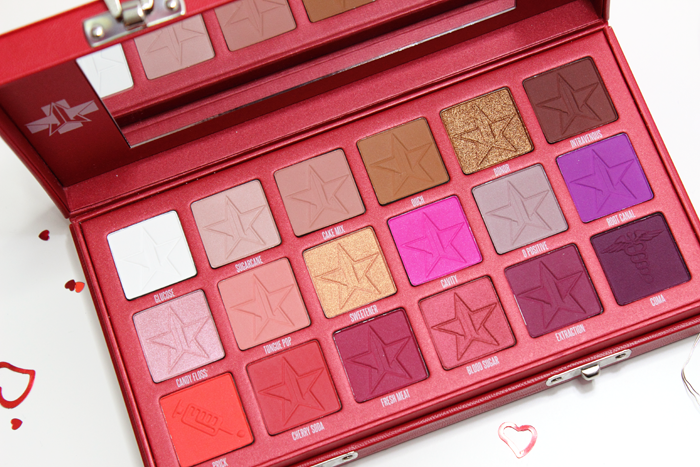 The palette contains 18 eyeshadows including matte, metallic and pressed glitter finishes. The bold shades are what really caught my eye. There are a few neutral shades to tie it all together, but the bold shades are what really stand out to me. 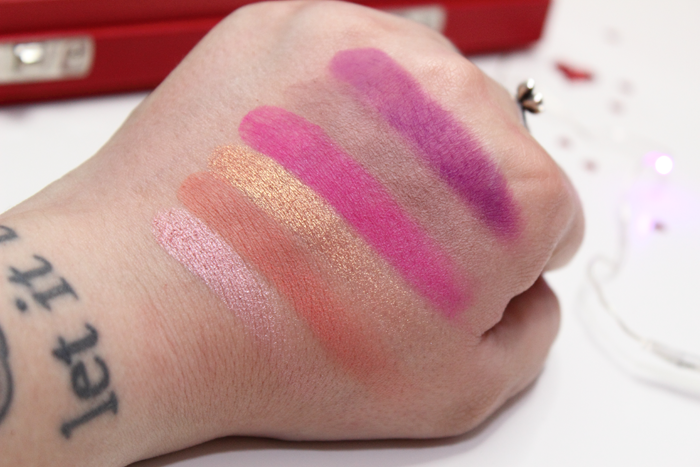 To me, these shades scream Jeffree Star! They’re bold and absolutely beautiful. This is the palette I was waiting for. The shadows were all nicely pigmented. 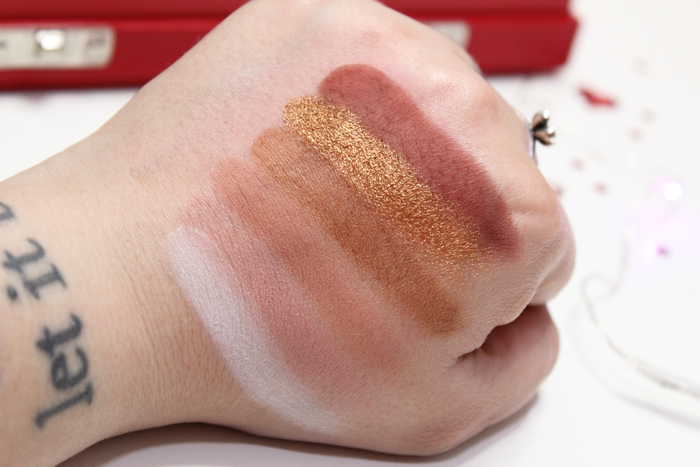 They applied and blended like a dream! Even the deeper shades! I thought for sure Coma was going to give me a hard time. It didn’t. In fact it’s one of my favorite shades! 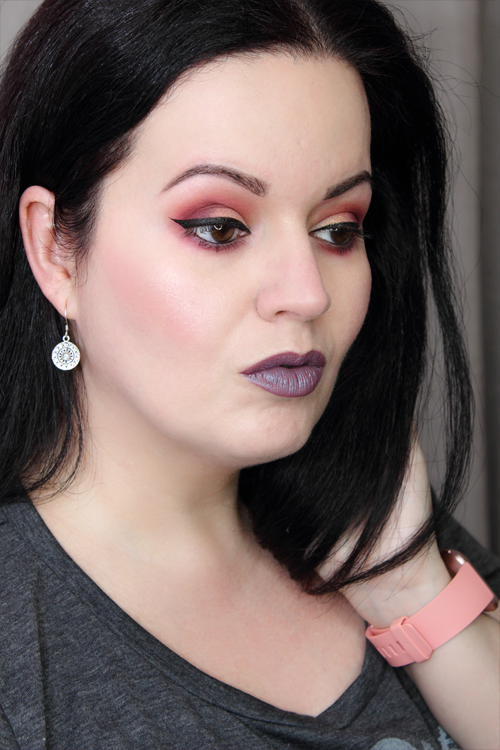 You could very easily create a neutral look using Blood Sugar. 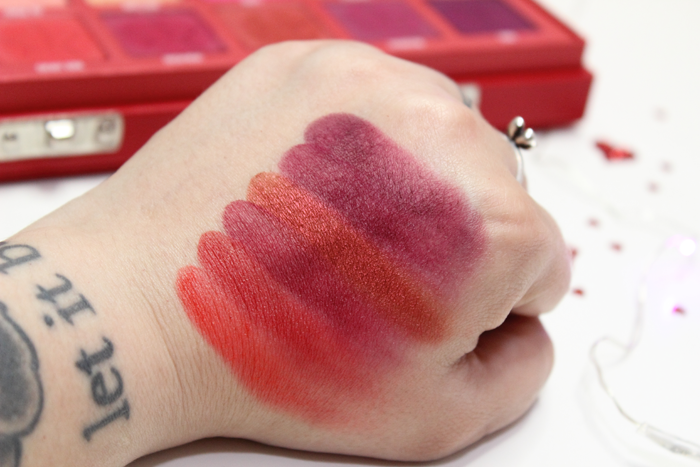 But I have a feeling that if you purchased this palette you’re probably going to want to reach for those bold shades. Like Root Canal and Cherry Soda. Which is exactly what I did! You can see a few of my looks below. Overall, I’d have to say I’m impressed. Blood Sugar is such a beautiful palette. I think if you were to ask me what my favorite palette is I’d have to go with Blood Sugar. Although that could change next week. Because y’all know I can’t settle on just one. But it’s my favorite for the moment. Unfortunately it’s a little too big to fit into my most reached for drawer. So I have it sitting on top of my vanity. 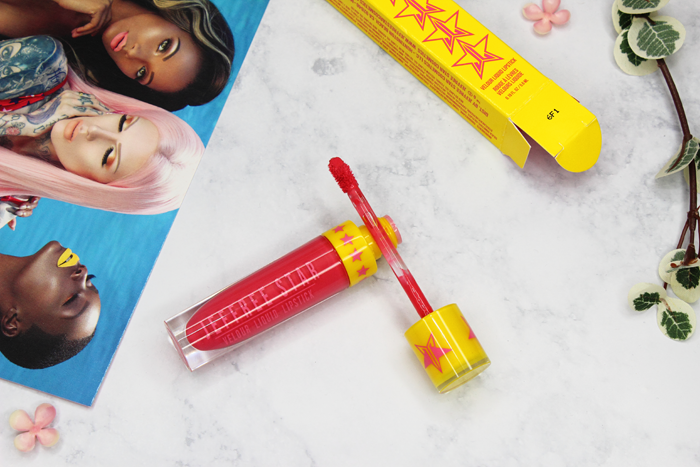 Have you tried anything from Jeffree Star Cosmetics? What are your thoughts on Blood Sugar? Back when I first saw swatches of the Jeffree Star Cosmetics X Manny MUA Collection, I just knew I had to make it all mine. I don’t know much about Manny. I’ve seen maybe one of his videos? I just wasn’t interested in keeping up. I have seen him a few times on Jeffree’s channel and that’s about all I can tell you about him. I’m not a fan of his, but I am a fan of Jeffree. I love his products and can’t contain myself when it comes to his new collections. Especially his lipsticks! First of all, the packaging is perfect! I love the silver on black. It makes for a nice elegant look. 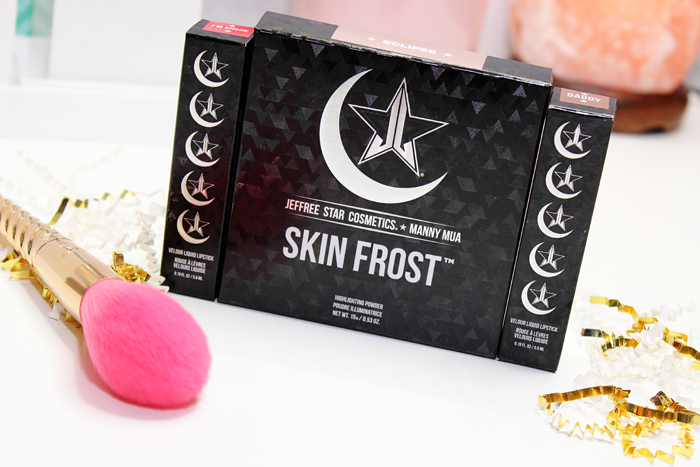 First up is the Skin Frost in the shade Eclipse. 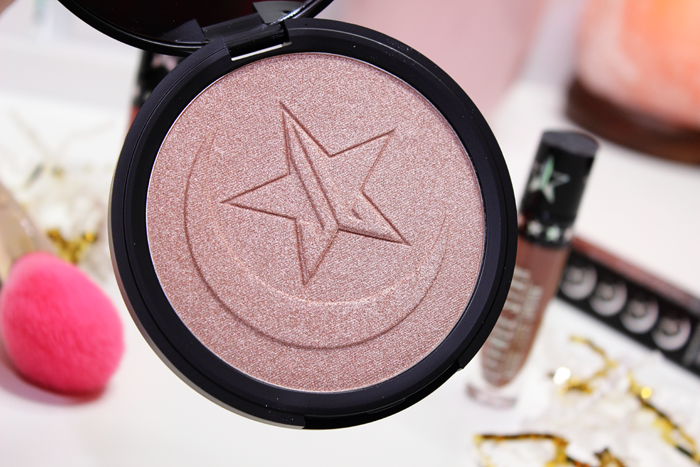 Eclipse is described as a blinding pale icy peach. This is my first Skin Frost so I was surprised to see just how huge it was! It would probably take me a lifetime to hit pan on this bad boy! It’s a really gorgeous shade. 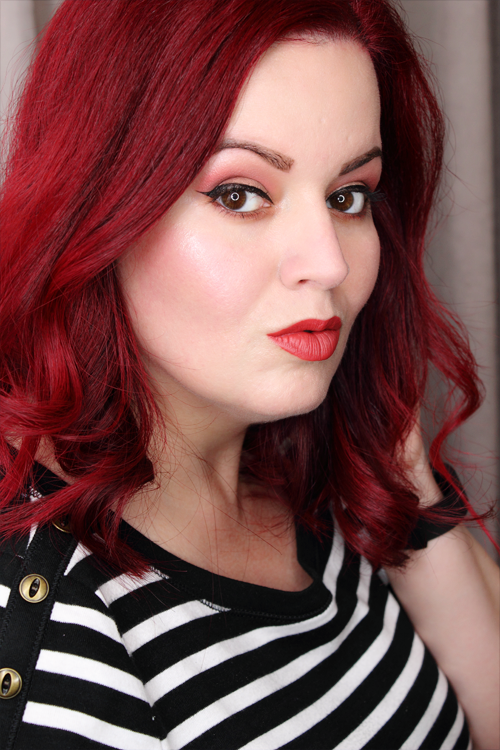 I don’t know if I’d say it was blinding, but it sure did give me some serious glow! I suppose if you layered it a bit more you would achieve that blinding effect. But that’s not what I was going for. Not this time around anyway. Daddy is described as a cool toned brown. It applied just as beautifully as all of my other Jeffree Star Cosmetics Velour Liquid Lipsticks. It’s a really pretty shade, but I don’t think this one is for me. I couldn’t even get a decent photograph hence the awkward pose. I’ll experiment with it a bit more before deciding on whether or not to pass it on to someone else. I’m Shook is described as a medium toned burnt coral. 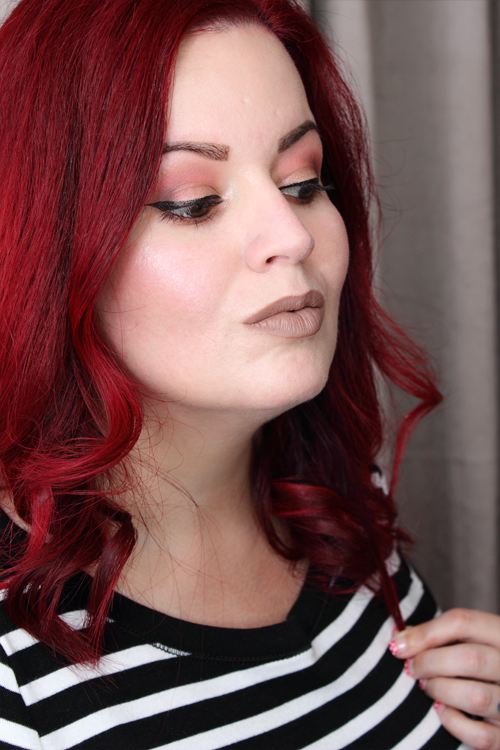 This is easily my favorite lipstick from Jeffree Star Cosmetics! I haven’t been able to put this down since I got it. Even my husband can’t help but compliment me every time I wear it. The fact that this shade is still in stock amazes me. Because it’s the best item in the collection! I should probably order a backup while I can. I think this collection was very nicely done. I’d love to see more collabs in the future. But maybe with someone I’m more familiar with? It’s been a little while since I’ve purchased anything from Jeffree Star Cosmetics. 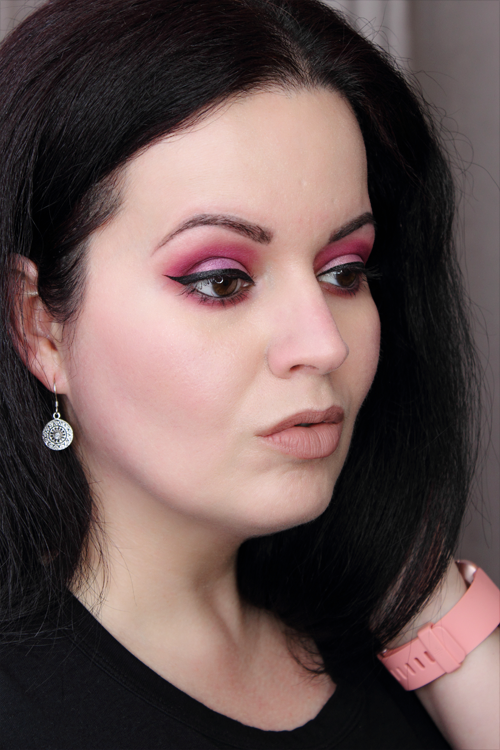 I really wanted the Beauty Killer Palette and one (or a few) of the Skin Frosts, but after reading several mixed reviews I decided not to get either of them. But when I saw the Watermelon Soda Velour Liquid Lipstick I just knew that I had to make it mine! Watermelon Soda is a very unique shade in my collection. 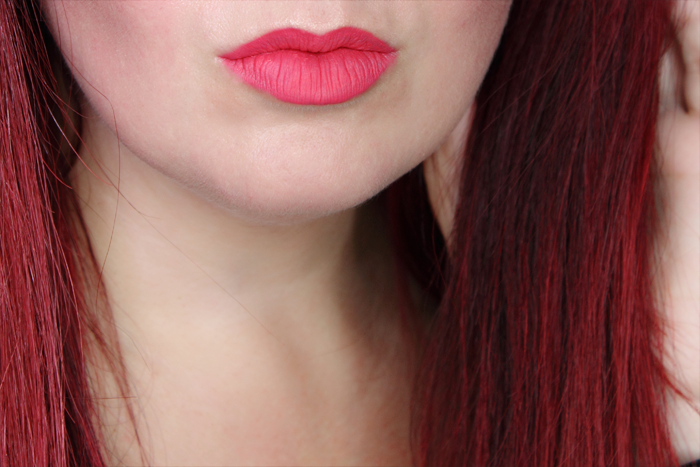 It’s a super bright shade of watermelon/coral, but somehow still wearable. Or at least it is to me. I mean it’s not neon like some of the other shades I purchased and applied only to be stunned by my own reflection. 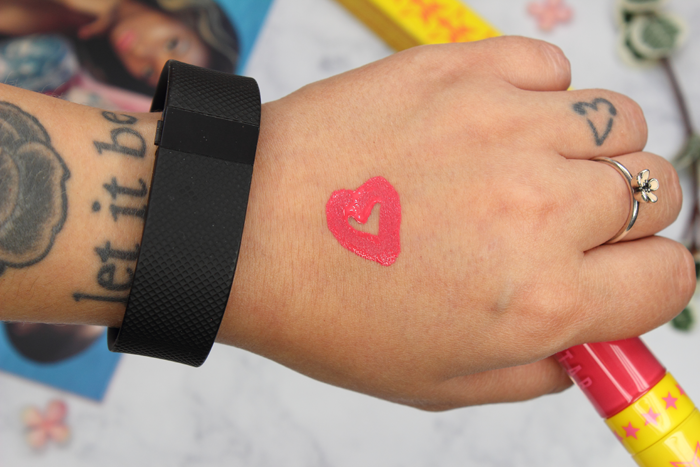 It’s the perfect bold shade for Summer! And it smells like watermelon! It comes in a Limited Edition yellow packaging that I’m not too crazy about. I prefer the pink! 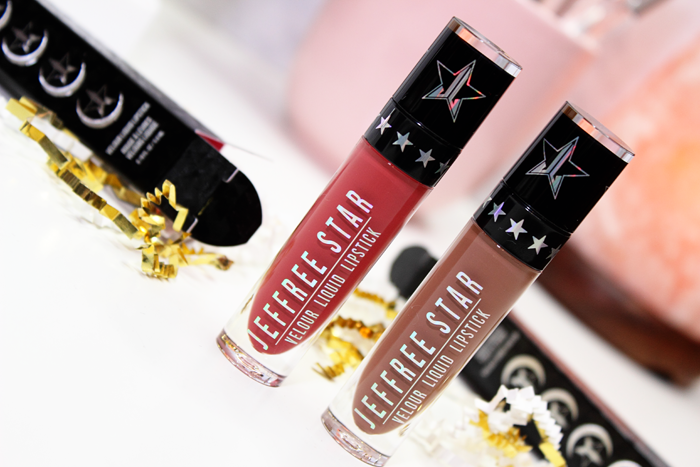 The applicator is very soft like some of the other Jeffree Star Cosmetics Velour Liquid Lipsticks that I’ve tried in the past. My only real issue is the formula. It applied really streaky! No matter how many times I went over it with the applicator I couldn’t get it to even out. A lip brush didn’t help much either. From a distance you can’t really tell, but up close you definitely can. It still made for a comfortable wear. It lasted through dinner and drinks without budging. But after about 6 hours it looked rather patchy. It definitely wasn’t a good look. It’s a beautiful shade and I’m really digging the watermelon scent. But $25.00 ($18.00 + shipping) for a streaky lipstick is one hell of a letdown. I’m pretty forgiving and can work with just about anything. But how can you work with something that flat out refuses to even out? I’ll keep trying to make it work. The shade is just too pretty to sit at the bottom of my toolbox collecting dust. You can see Watermelon Soda in action below. I posted a close-up so that you could see what I mean.